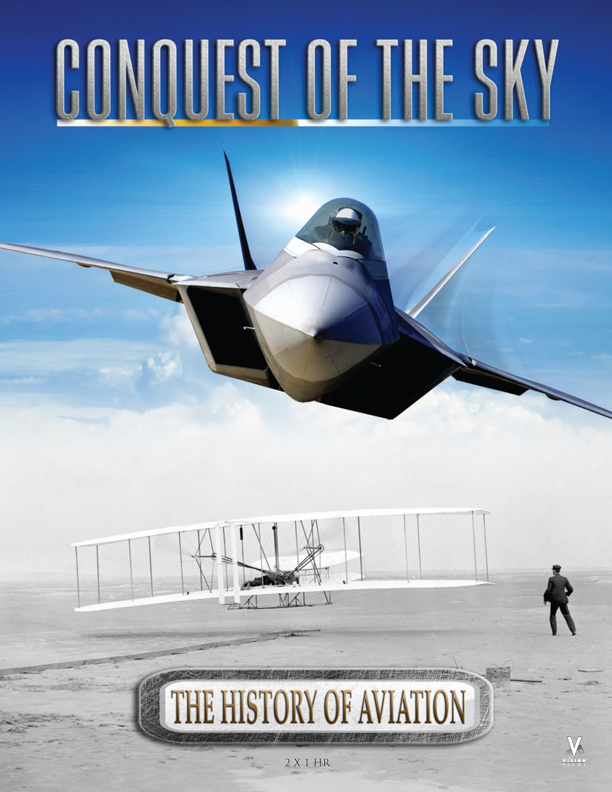 CONQUEST OF THE SKY: THE HISTORY OF AVIATION is a two part series that chronicles the development of flight from man's early dreams and myths to the spectacular milestones of the jet and space age that have shaped our modern world. Since the beginning of recorded history, humans have dreamed of flying. 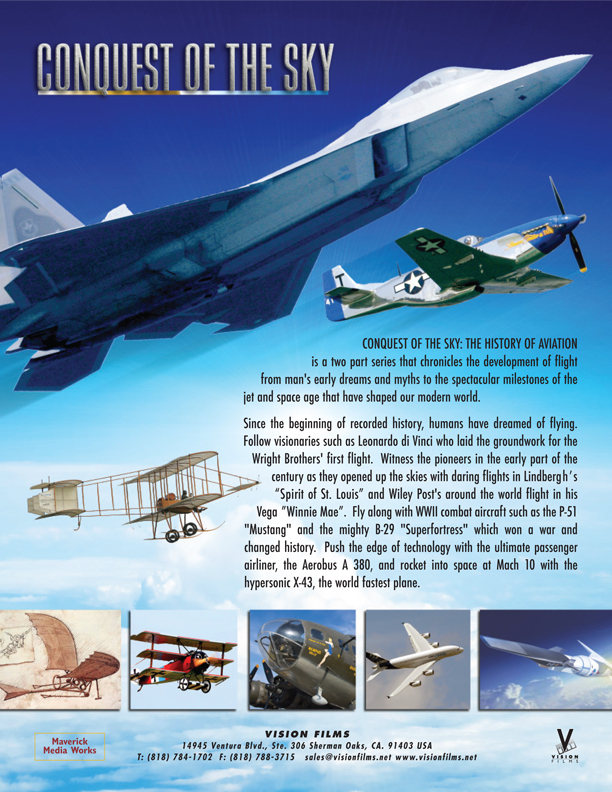 Follow visionaries such as Leonardo di Vinci who laid the groundwork for the Wright Brothers' first flight. Witness the pioneers in the early part of the century as they opened up the skies with daring flights in Lindbergh’s “Spirit of St. Louis” and Wiley Post's around the world flight in his Vega ”Winnie Mae”. Fly along with WWII combat aircraft such as the P-51 "Mustang" and the mighty B-29 "Superfortress" which won a war and changed history. Push the edge of technology with the ultimate passenger airliner, the Aerobus A 380, and rocket into space at Mach 10 with the hypersonic X-43, the world fastest plane.